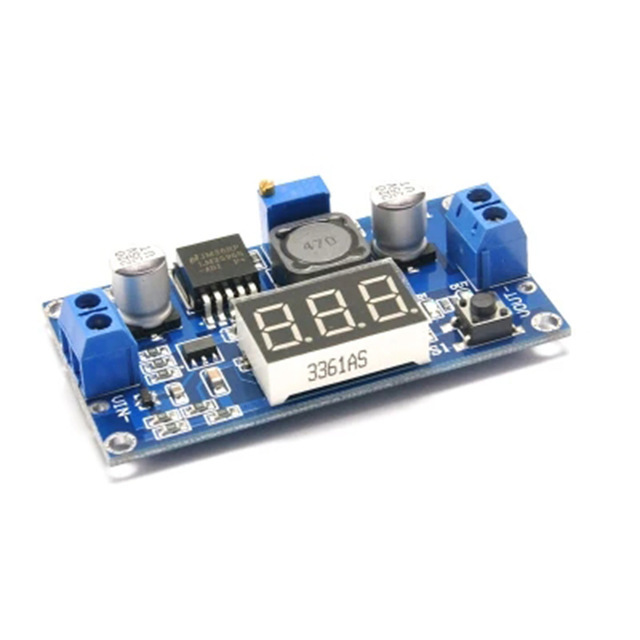 This module can be used in the input voltage is higher than the output voltage of the buck area, such as batteries, power transformers, DIY adjustable power supply, 24V car pen the power supply, industrial equipment buck, 12V to 3.3V, 12V to 5V, 24V to 5V, 24V to 12V, 36V to 24V and so on. The voltmeter can be turned off, long press the switch for more than 1 second and less than 4 seconds, let go can be closed. After the voltage meter is turned off, simply press the switch, you can open the voltmeter. 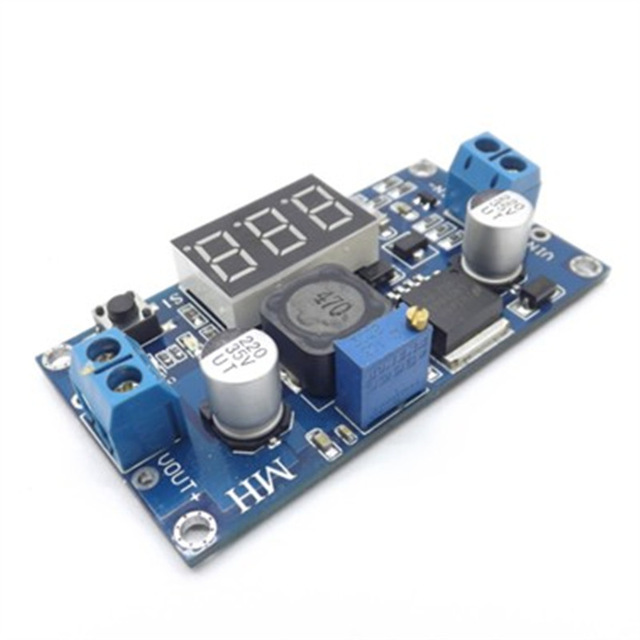 When the output voltage can not be adjusted, always equal to the input voltage of this problem, please counterclockwise rotation of the potentiometer 10 laps above, and then use the module can be normal adjustment of the voltage. Because the buck module is factory, the default output voltage is about 20V.